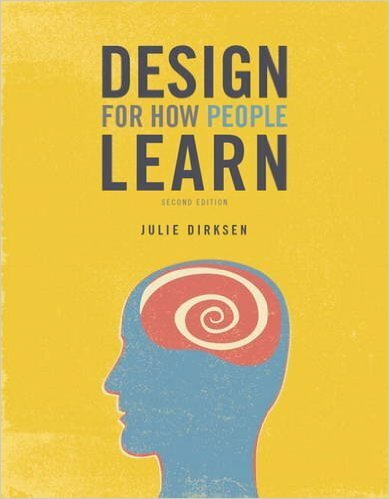 Hey Folks — the second edition of Design For How People Learn is now out! It came out right before the end of the year. I’ll be updating the website this week. Both the social/informal material and the evaluation material are things that probably should have been in the first edition and weren’t (fixed that! ), and the habit chapter reflects a change in my own practice — I’ve been finding it useful to call out habit formation separately when doing analysis and design. If I already have the first edition, do I need to get this one too? But what if I want the shiny new version? I, of course, support that 🙂 Maybe you could pass on your first edition copy to somebody who could benefit, and get yourself a second edition? Just a suggestion. Sincere thanks to all the readers of the first edition! If I’m reading the royalty statements right (no guarantee), it looks like we are right around 25K copies sold, which is fantastic and amazing and gratifying. Thank you.